Excellent for newly planted shade & street trees. 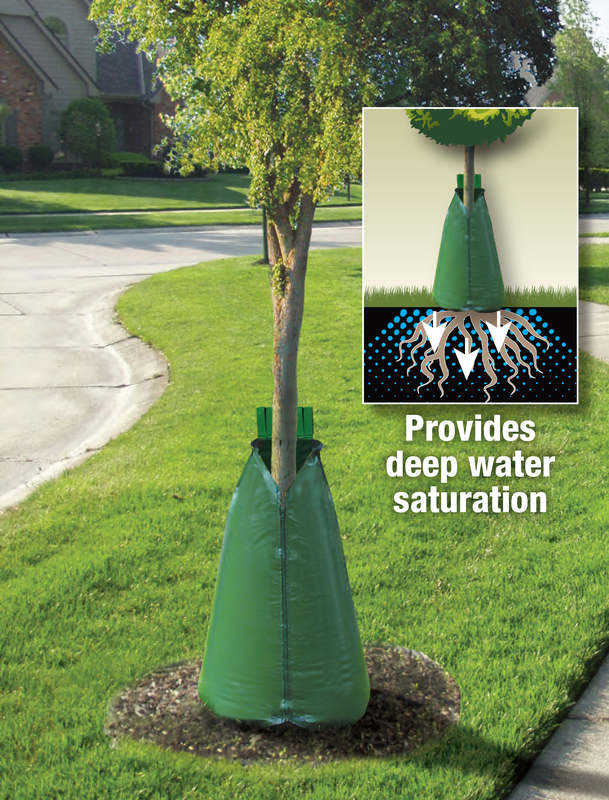 Zip heavy-duty bag around tree, fill with water, and let TreeCOVEr™ drip water to your tree for up to nine hours. Newly planted trees need a reliable source of water to flourish. Our Tree Irrigation Bag slowly releases water to the tree root system. With our Watering Bags For Trees you will save time and water. There is less runoff and waste. before digging or during summer droughts. Single bag holds 15 gallons of water. Single bag fits 1″ to 4″ diameter tree. Two water release points per bag. Bag is empty in 5-8 hours. Fill opening fits up to 3″ diameter hose. and let TreeCOVEr™ drip water to your tree for up to nine hours.